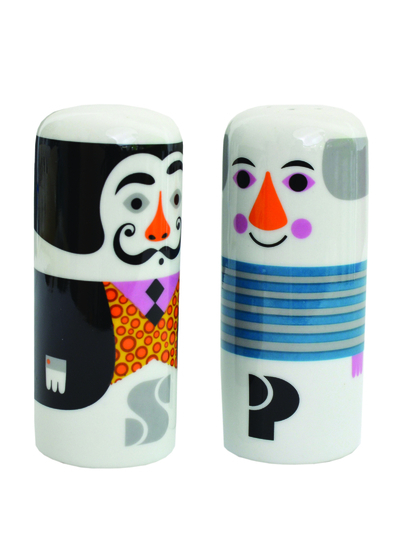 This fabulous pair of salt and pepper shakers are by OMM design featuring illustrations from Ingela P Arrenhius. 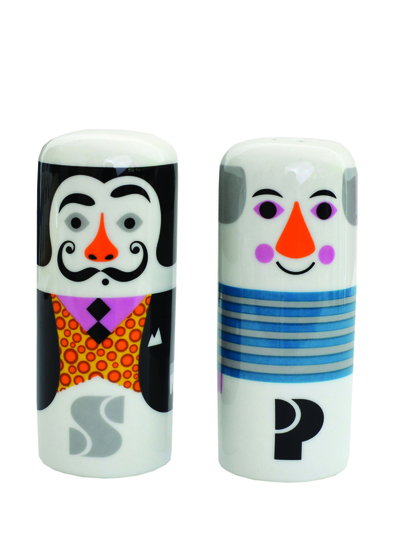 Beautifully painted and made from ceramic, this pair of prominent Spanish artists will add artist flair to any table. Salvador Dali is the salt and Pablo Picasso the pepper.